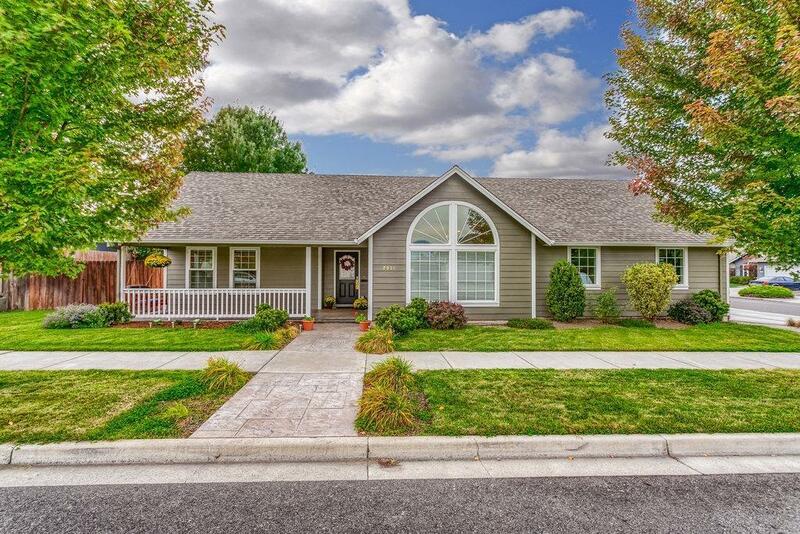 Wonderfully maintained 3 bedroom, 2 bath home with an open and split floorplan. Large windows in the living room with vaulted ceilings keep the home bright and airy. Good sized kitchen with a large island, plenty of storage and granite countertops. Tile bathrooms and beautiful deep brown hardwood flooring throughout, built-in surround sound, separate laundry room, and plumbed for central vacuum. The master suit has back patio access, walk-in closet, a large step-in showerwith multiple heads, jetted tub, and double sinks. 500 sf garage, 250+ sf front porch with swing, and a 160+ sf mostly covered stamped concrete patio. Backyard features a fire pit, small pond with waterfall and tasteful landscaping. Plus 24'x 12' RV PARKING! This beautiful home is in the desirable Jacksonville Elementary school district, with a small HOA fee of only $75 per year. Your new home is in immaculate condition and ready for your own special touches.